Beginners Yoga in Nederland, Texas. 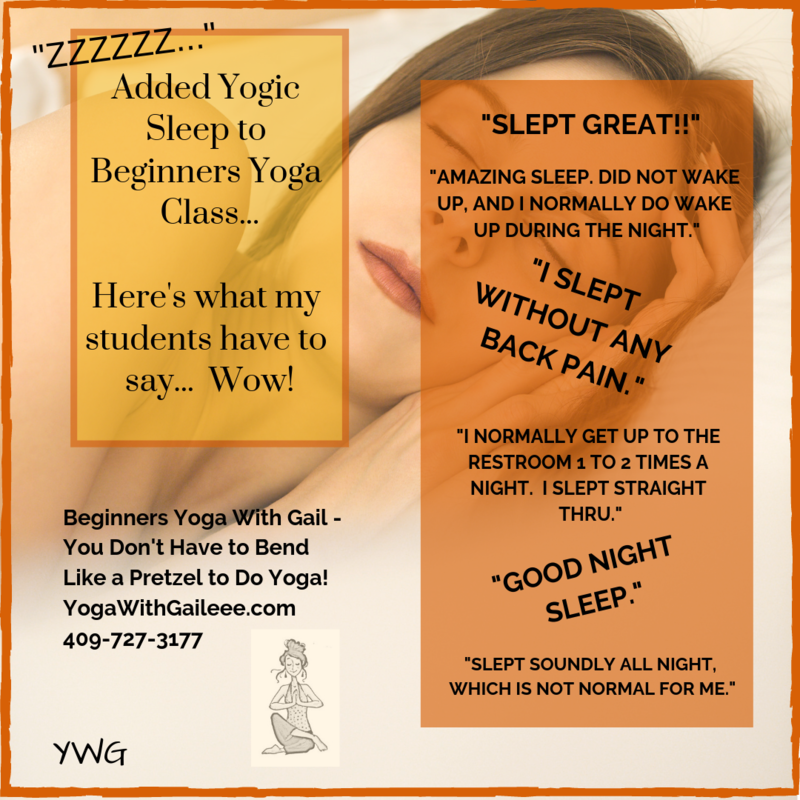 Taught by International & Experienced Yoga Teacher, Gail Pickens-Barger. Private classes. Public Monday class at 6:15 pm, and Thursday at 10 am at Wesley United Methodist Church, 3515 Helena Avenue, Nederland, Texas 77627. Not many yoga classes are strictly for beginners. This one is (although, experienced yogini’s love this class too!) so this is a great place to start or restart your yoga practice. Benefits of Yoga & Meditation. A study from Duke University Medical Center suggested that yoga could benefit those living with depression, schizophrenia, and other psychiatric conditions, and sleep problems. Posted on November 4, 2016 by yogawithgaileee. This entry was posted in #BeginnersYoga, #SunSalutationsYoga, #sunsalutes. Bookmark the permalink.